The Protection Kit contains TESA labels, which are the most secure self-adhesive label available. The TESA material has an extremely high-tac adhesive and is the most durable label option. Resistant to temperatures of -50C to 200C, tampering, abrasion, chemicals and weather, they are ideal for indoor and outdoor use. The TESA labels are grey with black lettering and are fully customisable with your company details. 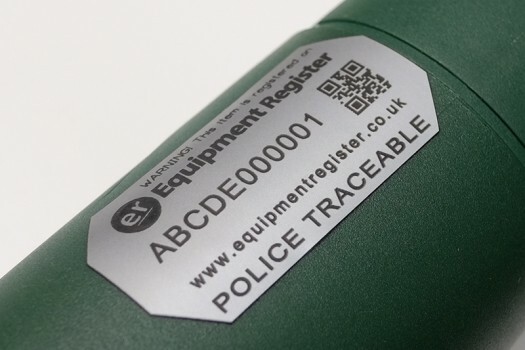 They also include a unique QR barcode that can be scanned instantly with a smart phone, this ensures the property or vehicle can be easily traced back to you if lost or stolen.